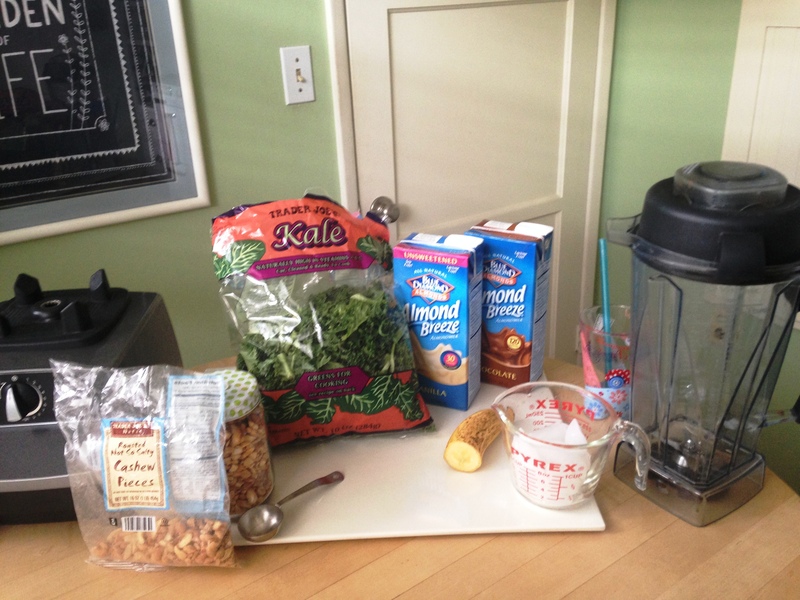 This is a quick, delicious and healthy Kale smoothie. I got this recipe from my Pilates teacher, Marita. 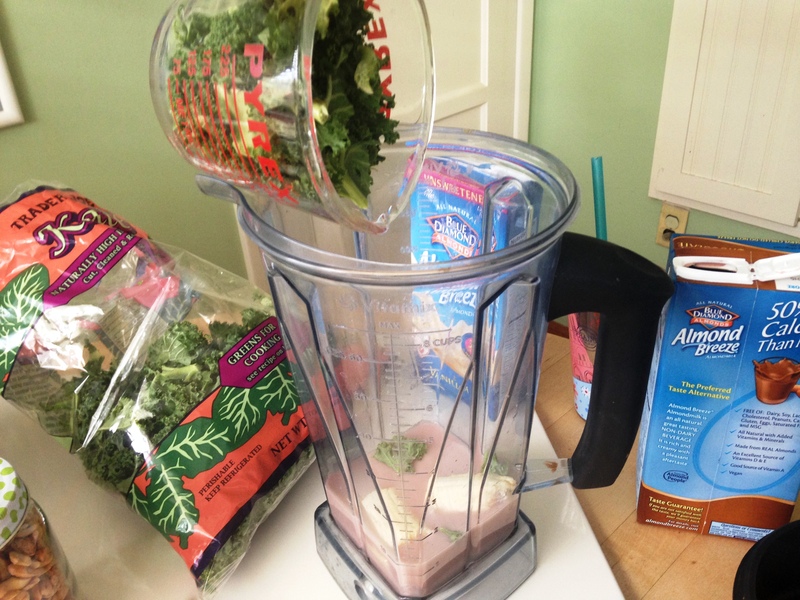 Put it all in the blender and blend for about 3 minutes, until smooth. It tastes like a banana shake with a little peanut butter and chocolate. I LOVE IT. 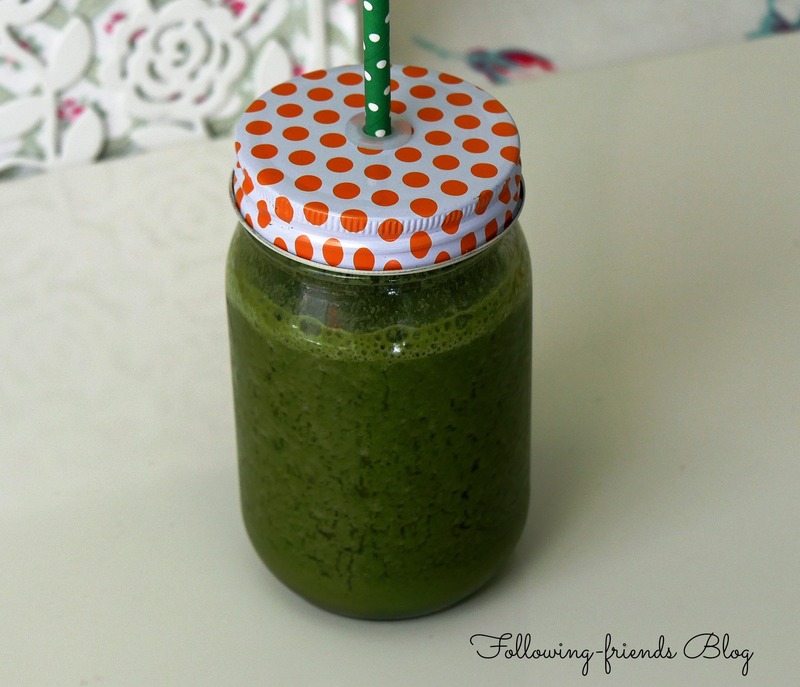 Kale is a SUPER veggie that is loaded with vitamins A, C and K. It’s a great way to start the day.